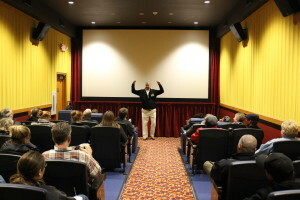 The historic Bohm Theatre and the Bohm II Screening Room are available for private rental during our non-public hours. Consider the Bohm for group meetings, viewing training DVD’s, birthday’s or celebrations. Please download our rental information and sample agreement below for detailed information. If you would like to inquire about specific date and time availability or if you would like to schedule a time to see the facility, please contact us a 517-343-2112. Total Facility Area: 13,450 sq.ft. Live Event Sound System: Self powered QSC. State of the art digital mixing console with remote capability. Free concessions for your guests available at a discounted rate. Everything looks better on the Big Screen!